COPAR’S Model MDSI Speed/Downtime Monitor will automatically calculate and display crucial information that will help you and your operators improve machine operation. When the machine is making product, the MDSI-3W will toggle between the current run speed and the average run speed (Display flashes for average). Speed is calculated digitally for high precision. When the machine is stopped, the MDSI-3W will toggle between downtime for the present stop and total downtime since the unit was last reset (Display flashes for accumulated). Downtime in minutes is cumulative (i.e. if machine starts when there is part of a minute of downtime unregistered, the “accumulated” display will keep track of that time until the next stoppage). Downtime can be referenced to either zero speed or a preset table minimum speed. Units of measure can be in feet, meters, or pieces per minute. The MDSI-3W comes with a remote station that allows selective viewing and key locked reset of data registers. 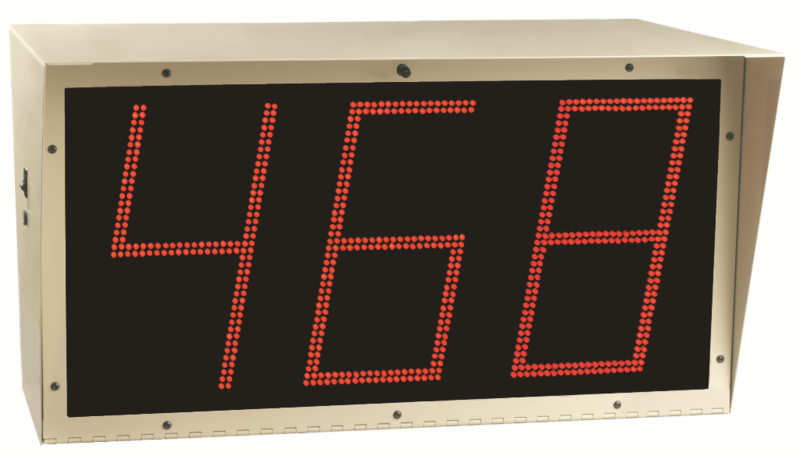 The dual sided, LED display is clearly visible from a long distance. Extensive experience has shown that the modest investment in the MDSI-3W repays itself in less than one year. Many plants have standardized on the MDSI-3W for all converting equipment.